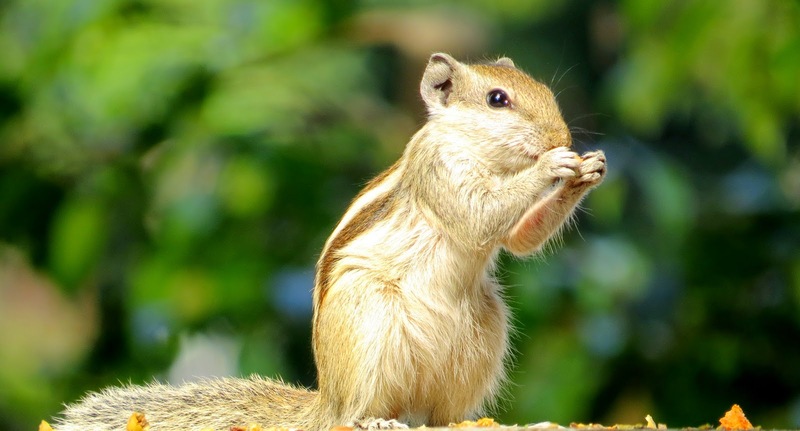 Squirrels have always fascinated us. Their beady eyes, their agility, intelligence, swiftness, dauntlessness has won our admiration. There are a lot of squirrels sharing the space in our backyard. 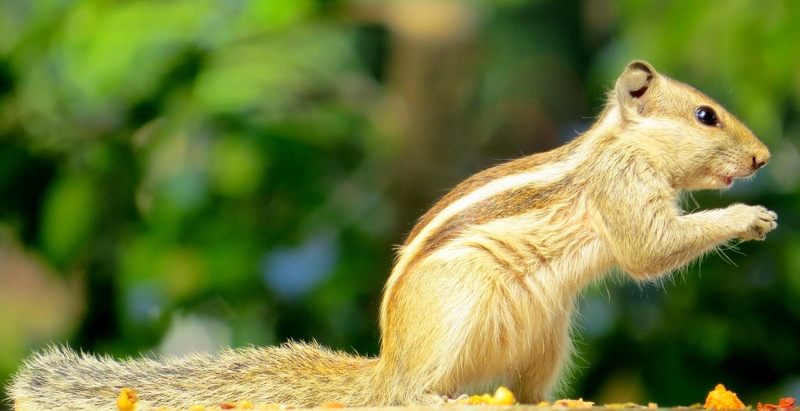 We have often seen them sauntering around, clambering trees, leaping from branch to branch and raising alarm on spotting our pet cat hiding in bushes to ambush the birds. Last year, a squirrel would sneak into our veranda and pull strings from the clothes hanging in the clothes line. She would run away with strings, pieces gnawed from rope to make her nest. Once, she even took away the old kitchen scrubber. A squirrel has been visiting the food table regularly. She scares the birds by feigning to attack them and nibbles the food kept for them. We wait for her every morning and keep nuts for her. 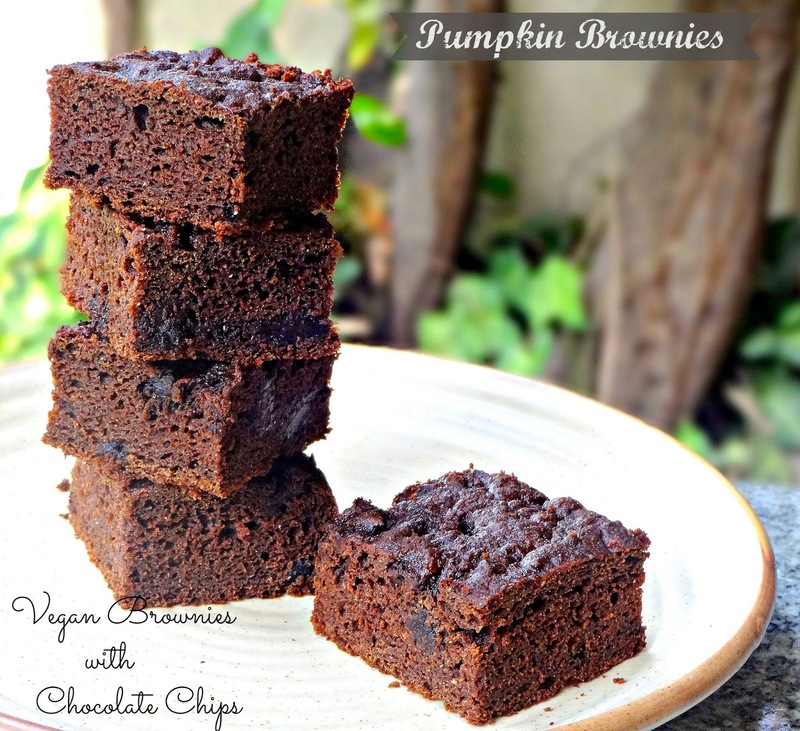 We had a red pumpkin at home and we wanted to make vegan pumpkin chocolate brownies. 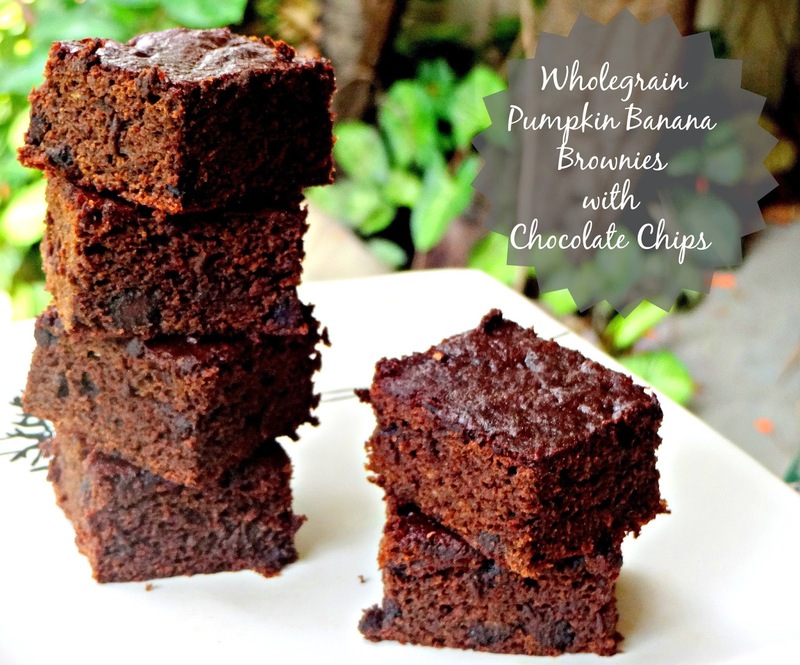 Pumpkin puree added softness and sweetness to the brownies. 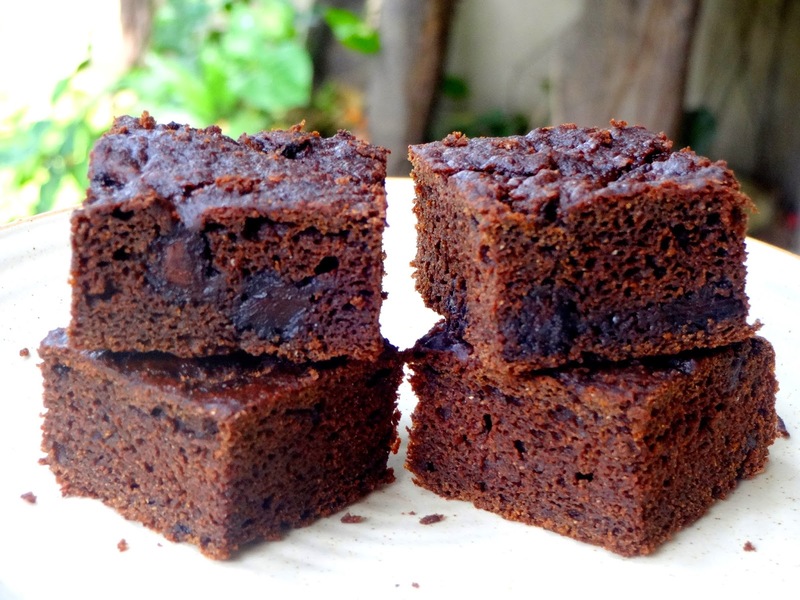 The brownies turned out moist and chocolaty……simple and healthy! You may also adjust sugar according to taste. Preheat oven to 180 degrees C. line the bottom and grease the sides of one 7x7 inch square cake pan. Whisk together first five ingredients. Keep aside. In a deep bowl, mix pumpkin puree, sugar and vanilla extract. Add dry ingredients, stir till well combined. Batter will be thick. Fold in chocolate chips. Spoon the batter into the prepared pan. Bake for 35 to 40 minutes. A toothpick inserted in the center should come out clean. Remove from the oven. Let cool in the pan for 5 minutes. Remove from the pan and cool in the rack. Slice next day. We had half a cup pumpkin puree left. Two overripe bananas also needed to be used. The bananas were pureed in the blender and added to the batter. Another batch of brownies was on the way…fingers crossed ..awaiting the result of the experiment. And…Lo! A new recipe was born. The second batch was flavourful, moist and melt in the mouth. 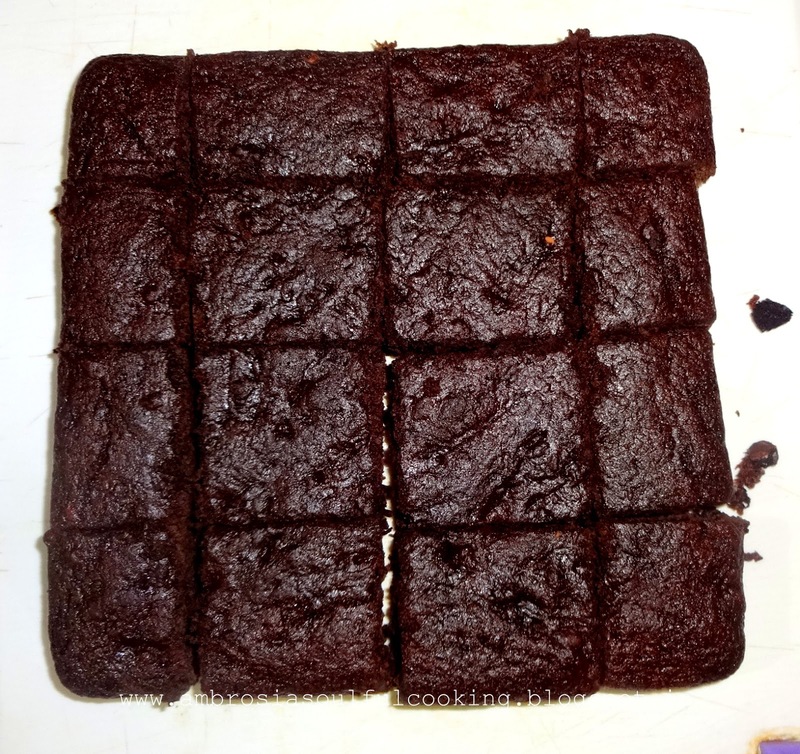 I seriously suggest that let the brownies rest for a day before you bite into them. 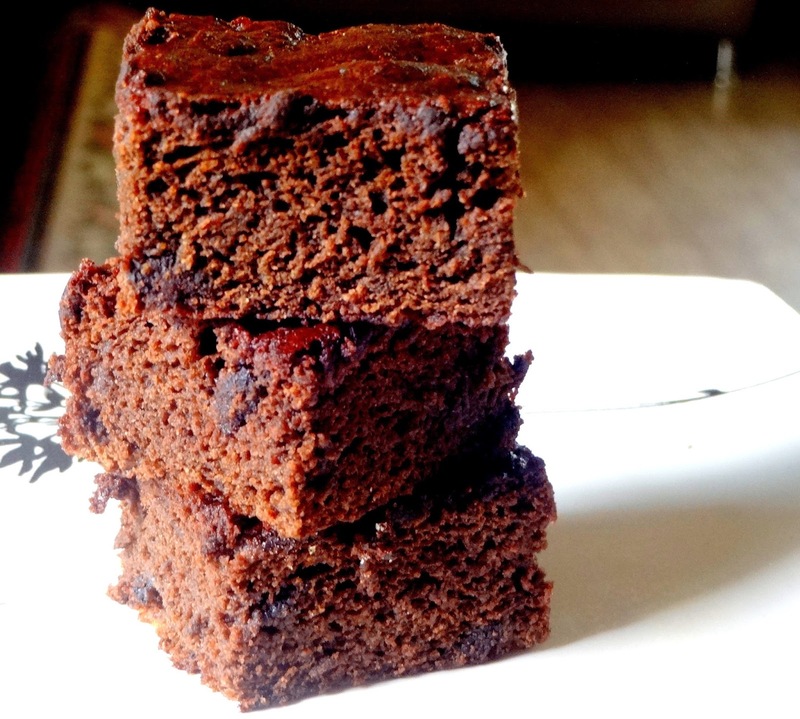 Flavours develop fully and the brownies turn soft and moist. In a deep bowl, mix pumpkin and banana puree, sugar and vanilla extract. Add dry ingredients, stir till well combined. The batter will be thick. Spoon the batter into the prepared pan. Bake for 35 to 40 minutes. A toothpick inserted in the center should come out clean. Remove from the oven. Let cool in the pan for 5 minutes. Remove from the pan and cool in the rack. Slice the next day. Hello Pooja, Your idea of using papaya puree sounds genius! A new recipe may be born. Please go ahead. I guess papaya will also add the right kind of sweetness and moistness to the brownies. Do share the results. Happy Baking! Hello! thank you for bringing it to my notice. I have edited the post. Surely, you may add chopped dark chocolate in place of chocolate chips. I often do that. I used yellow pumpkin for the recipe. Hello,was looking for cakey brownies! its more cakey than fudgy? Your pics seem that way. If you had to add eggs, how many would u add, 2 eggs? Do u have a recipe for brownies with eggs? Thanks in advance! I m baking this today, with cashews instead of chocolate chip n added white chocolate chips on top. Made it just like your recipe. I also added melted chocolate on top.these are Yummy!